Simplified calendar and no time zones? In the Hanke-Henry Permanent Calendar, there are no leap years and Christmas always falls on a Monday. Plus, it’s the same time everywhere on Earth. Imagine living in a world where Christmas always falls on a Monday. 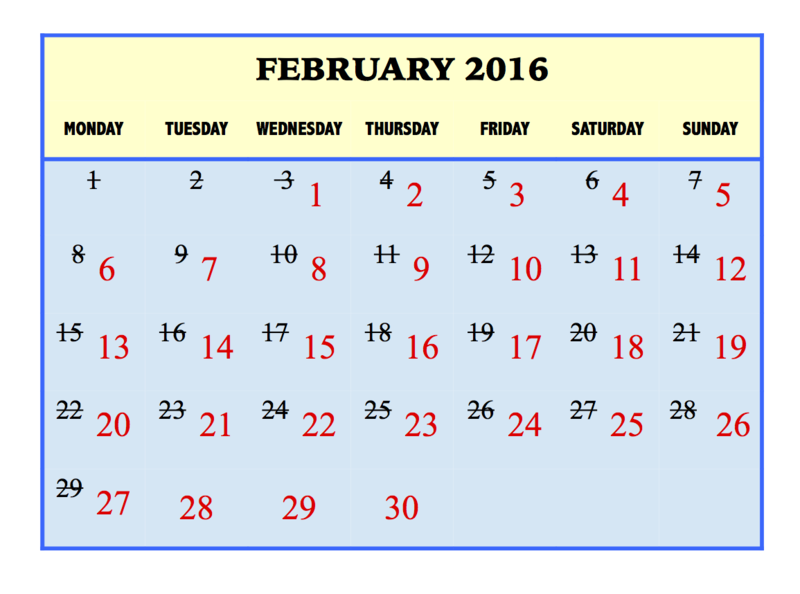 There’s no more February 29 every four years, as there will be in 2016. And it’s the same time everywhere in the world. That’s some of the changes we’d see in the Hanke-Henry Permanent Calendar, if it’s ever implemented. We’d also have to find a new date for Halloween since October 31 will no longer exist. Also say goodbye to “Friday the 13th” because in the new calendar, the 13th of the month only falls on a Saturday, Monday or Wednesday. The Hanke-Henry Permanent Calendar was proposed as a more stable alternative to the calendar we currently follow, known as the Gregorian Calendar. It was originally conceived by Bob McClenon in an effort to simplify how we keep time. The concept was further adapted using mathematical formulae by astrophysicist Richard Henry and applied economist Steve Hanke, both at Johns Hopkins University in Baltimore, Maryland. They have proposed a formal start date of Monday, January 1, 2018 for their new calendar. The Gregorian Calendar was first established in 1582. Over the centuries, it was gradually adopted as the civil calendar for most countries. But it has its quirks. We pay the same rent or mortgage every February and March, even though one month is three days longer than the other, and two days longer on leap years. Retailers that make most of their profits during the traditional gift-buying season are at the mercy of a calendar, developed more than 400 years ago, that determines the number of days between Thanksgiving (which only falls on Thursday) and Christmas. 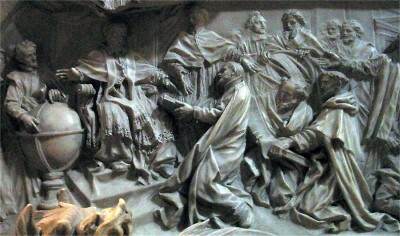 Carving on the tomb of Pope Gregory XIII celebrating the introduction of the Gregorian calendar. Image credit: Rsuessbr via Wikimedia Commons. Time-keeping can get quite confusing. 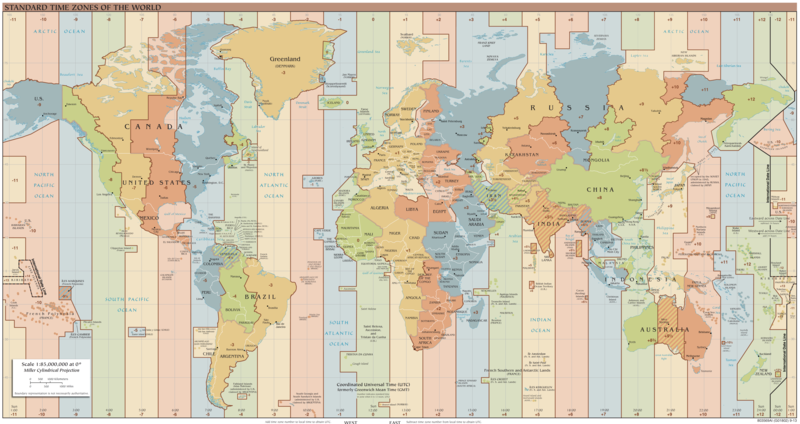 The world is divided into time zones because we traditionally kept time by the sun’s position in the sky. Today, time zones are set in reference to UTC, the Coordinated Universal Time, and expressed as plus or minus 1 to 12 hours from UTC. 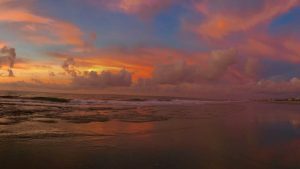 Some countries also have Daylight Saving Time from spring to fall so there’s an extra hour of daylight in the evenings. While time zones generally track with the Earth’s longitude, they’re determined politically, not geographically. China, the third-largest country in the world, has only one time zone. And not long ago, North Korea changed her time zone from UTC+9 hours to UTC+8 hours 30 minutes. World time zones. 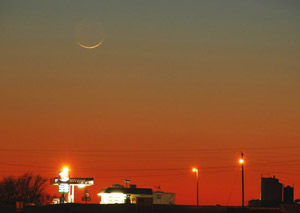 Image credit: TimeZonesBoy, via Wikipedia Commons. The reason all the airlines in the world use, today, now, Universal Time (Greenwich time), is so that planes don’t crash into each other. Every pilot and navigator knows what time it is. As it stands now, we passengers don’t have what the pilots do have and we miss flights because of clock issues and time zones and Daylight Saving Time … and it’s not just airline flights, it is conference calls as well. What if my birthday is January 31st but the new January’s only 30 days long? What if my kid was born during the extra week that’s tagged on to the end of the year every five or six years? Birthday celebrations only twice in a decade are not going to go down well. What if I depend on the Gregorian calendar for planting dates in the Old Farmer’s Almanac? On his website, Henry suggests we should adapt to it. Be like Queen Elizabeth: celebrate your birthday on a date of your choosing! For people born on the vanished 31st days of months – there’s a simple solution. They were born on the last day of the month, so their birthday is the last day of the month (which would be the 30th). He also said that the Gregorian calendar won’t disappear and will continue to be available for those who need it. Hanke and Henry are recommending a calendar start date of Monday, January 1, 2018. Previously, they had suggested Sunday, January 1, 2017, and before that, Sunday, January 1, 2012. But you don’t have to wait till 2018 to begin using the Hanke-Henry calendar; it’s available for download on Henry’s website. Bottom line: Astrophysicist Richard Henry and applied economist Steve Hanke, both of Johns Hopkins University in Baltimore, Maryland, have devised a new calendar system, originally conceived by Bob McClenon. They call it the Hanke-Henry Permanent Calendar and say it is a more stable alternative to the Gregorian Calendar currently used throughout the world. They also advocate abolishment of time zones in favor of Universal Time, so that everyone across the world is on the same clock.